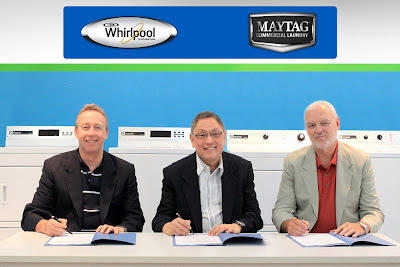 Whirlpool-Maytag Commercial Laundry line products have been formally launched by Excellence Appliance Technologies, Inc. (Exatech), the official distributor of Whirlpool appliances in the Philippines. Whirlpool Corporation successfully got hold of Maytag Corporation in 2006. Maytag established in 1893 in Newton Iowa is renowned as one of America’s top laundry brands. During the contract signing of Whirlpool-Maytag Commercial Laundry. 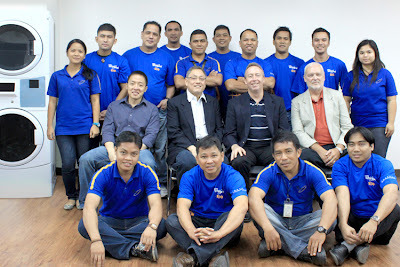 (From L-R) John Barratt, Asia & Oceania Region Sales Manager of Whirlpool-Maytag Global Commercial Laundry; Nixon Sioco, President and CEO of Exatech Inc.; and Steve Parks, Technical Manager of Whirlpool-Maytag Global Commercial Laundry. 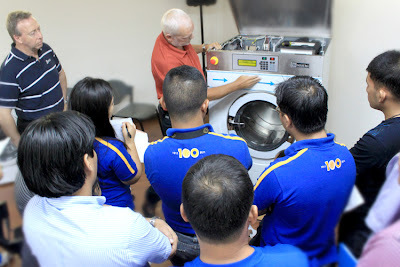 Shown in photo (from L-R) are John Barratt, Asia & Oceania Region Sales Manager of Whirlpool-Maytag Global Commercial Laundry; Nixon Sioco, President and CEO of Exatech Inc.; and Steve Parks, Technical Manager of Whirlpool-Maytag Global Commercial Laundry. For more than a century, Whirlpool and Maytag brand appliances have been tantamount with durability and dependability. These days, the Whirlpool and Maytag brand’s unequalled tradition of quality production and incomparable performance continues to thrive. Exceptionally durable, commercial-grade components are found in every Whirlpool-Maytag Commercial Laundry product. With a focus on low energy usage, the Whirlpool-Maytag’s commercial line of washers qualify for the highest USA energy efficiency tier (CEE Tier III). Its high-speed spin extractor removes excess water, reducing owners’ energy and water bills. The clothes come out of the washer very well rinsed and wrung out, so the dryer then needs to do less work to finish the process. Customers will notice a dramatic savings in detergent, water and a definite improvement in cleanliness of clothes. Additionally, all Whirlpool-Maytag Commercial Laundry products come standard with either a two- or three-year limited parts warranty, the longest warranty offer in the laundry business. 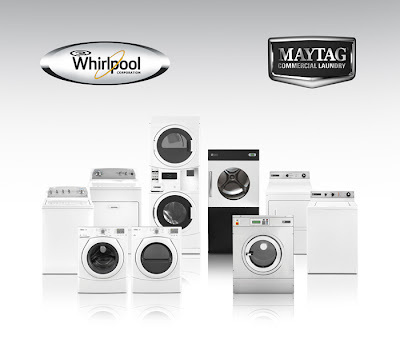 Whirlpool-Maytag Commercial Laundry products are available in leading appliance stores nationwide. For inquiries, you may contact Mr. Billy Capulong at 712-0535 loc. 110.